In 2002 Marilee Wingert, a Californian who has been involved with the Mayans since 1974, visited the AMIDI chicken project. A friend involved in rural development recommended she pay a visit because the AMIDI members had, against many odds, built a business from scratch: securing a low interest loan, clearing and leveling the land by hand, skidding concrete blocks on burlap bags up a hillside to build safe coops for their egg-laying hens. She was deeply moved by the cohesiveness, mutual respect, work ethic and heart of the AMIDI members. Soon after she worked with Slow Food Sonoma County to nominate them for the International Slow Food Award, citing their sustainable farming, social awareness and poverty. They won, returning from the award ceremony in Italy to Pachay las Lomas with the 1st prize. Marilee felt compelled to return to the village and to explore ways to develop a long term relationship of support for AMIDI. During her return visit, the women sat in a large circle, and Marilee asked them to share their dreams. Every member spoke. The women, many of whom are illiterate, all agreed they wanted to send their children to school to break poverty’s hold on their village. 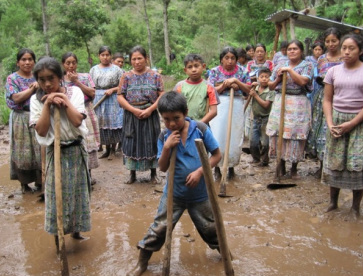 They needed assistance because public education in Guatemala is not free and, therefore, is unaffordable for the poor. That heartfelt conversation gave birth to the scholarship program, with Ana Maria enthusiastically organizing a committee in Pachay and Marilee, now on a mission, leading an annual scholarship drive in the U.S. Slow Food Sonoma County North , a non-profit, helped initiate the project by volunteering to process the tax deductible donations without charging administrative fees. 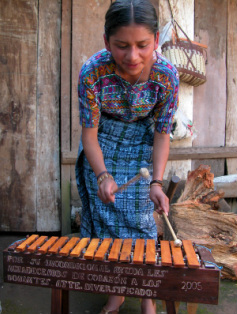 One hundred percent of all money donated through Slow Food Sonoma County North goes to AMIDI projects in Guatemala. The Committee selects the scholarship recipients, monitors their progress and enlists tutors when necessary. Students must maintain good grades. Students must provide community service (e.g. clearing the mud from around the community center during the 2010 torrential rainy season). Parents must support the students psychologically and financially. Each family makes a monetary contribution to cover a portion of school expenses. In the case of older children in middle grades and high school, the parents essentially forfeit their children’s immediate earning potential in favor of schooling and a better life. 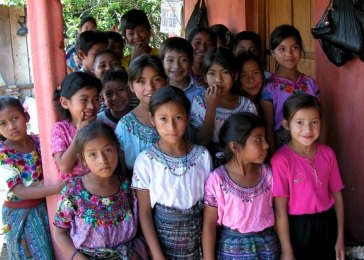 A recent study of poverty in Guatemala confirms that, by creating the scholarship program, AMIDI has made a life-changing decision for their children. Statistics from the study indicate 61% of primary school graduates and 91.5% of high school graduates move away from a life of poverty. Most of those who have graduated from high school have already found employment close to home, breaking the pattern of poor, indigenous youth leaving their village for unskilled jobs in the city. AMIDI’s high school graduates are role models: articulate, self-assured and dedicated to strengthening their Mayan identity. Their gratitude knows no bounds. Maria Soledad Chali Colaj now works as the chief bookkeeper in a Peace Accords program to provide assistance to Mayan victims of the civil war. She also attends the university and would like to earn a masters degree in business administration. 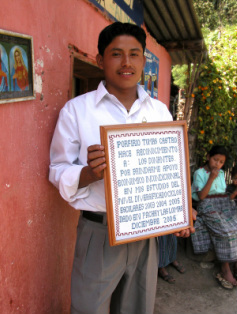 Porfirio Tomas Castro was among the first students to graduate from high school with the help of our scholarship program. Since then his leadership skills have developed. The residents of the greater Pachay area recently elected him to the Community Development Council where he serves, without compensation, as a citizen’s advocate. The weaving he is holding gives heartfelt thanks to the donors. The frame is his fine handwork. Maria de los Angeles Atz Atz is a primary school bilingual (Kakchiquel/Spanish) education teacher. She is part of a movement to ensure that the Kakchiquel language is not lost. 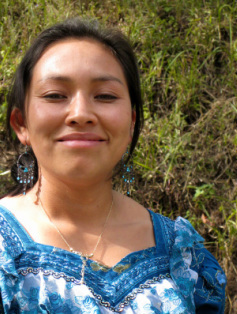 Her sister also wants to become a teacher, and Maria is helping to pay her school fees.